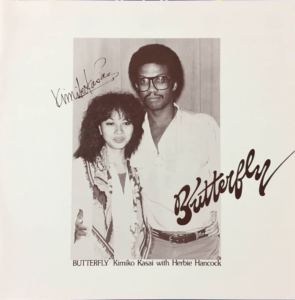 In light of Be With Records re-releasing Kimiko Kasai With Herbie Hancock ‎– Butterfly (1979), I just wanted to call attention to Kasai’s rendition of “I Thought It Was You” which Hancock released on his “Sunlight” album in 1978. 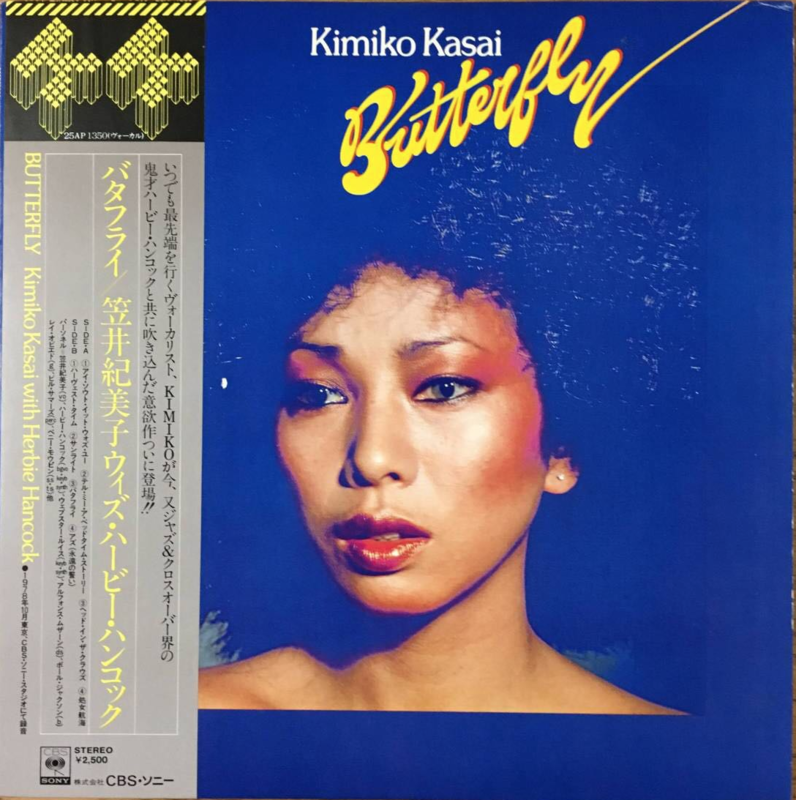 ‘Butterfly’ was never released outside of Japan and was therefore hard-to-find until now. 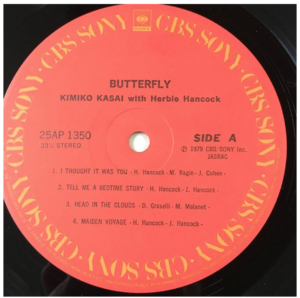 Kasai’s version of “I Thought It Was You” is stronger than Hancock’s own 1978 original. The 1978 Hancock original did well in the UK but never really broke out. 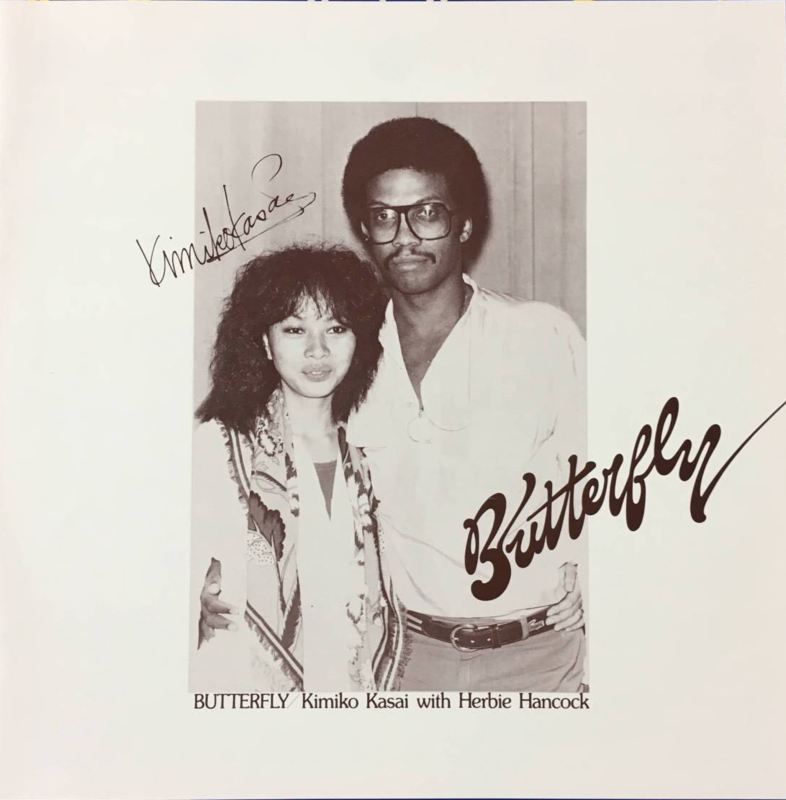 Kasai’s 1979 rendition brings her strong vocals to a production led by Hancock himself, and a set of musicians as strong as Hancock had on the original including Alphonse Mouzon on drums (Weather Report, Miles Davis, McCoy Tyner), Webster Lewis on keyboard (George Russell, Bill Evans, Herbie Hancock), Bennie Maupin on clarinet (Miles Davis, Herbie Hancock, Horace Silver), Bill Summers on percussion (Herbie Hancock, Quincy Jones). I think this version is tighter, a bit faster and Kasai’s vocals really just enhance the track. Finally Kasai’s cover of Stevie Wonder’s “As” is really strong as well. I still think that “I Thought It Was You” is the standout track but “As” is a great female rendition of that famous track. For Americans who want this album, Light in the Attic is taking preorders. 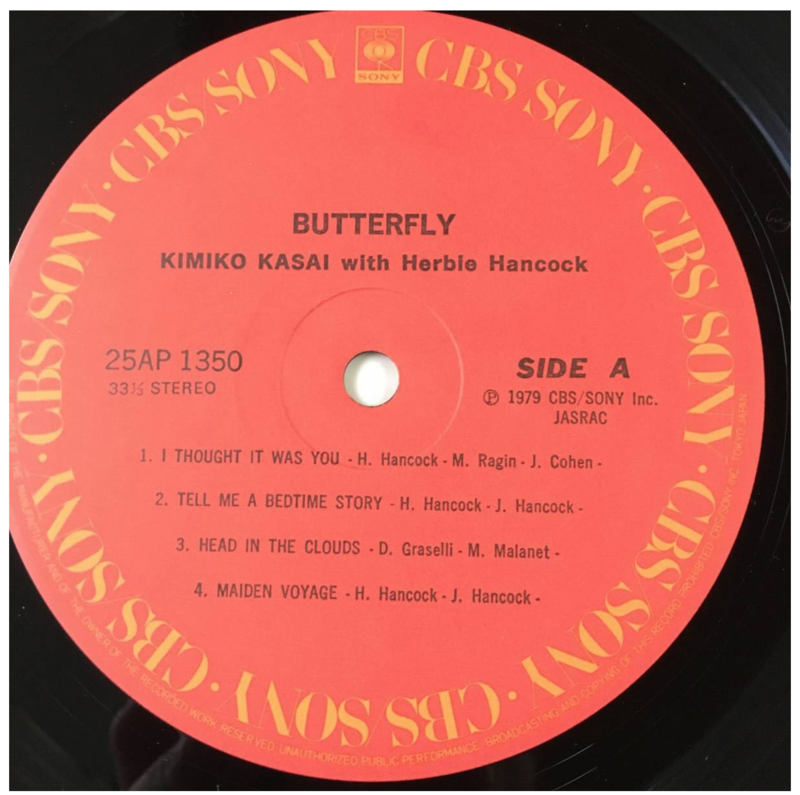 It is a shame that CBS Sony spent what I assume was a significant sum to produce this album for it not to be released outside of Japan. It would have been interesting so see what the public reaction would have been in 1979. That Kimiko Kasai married Richard Rudolph and is now the step-mother of Maya Rudoph makes this all more interesting. It is a shame that Kasai stopped producing music once she married. Quite surprised myself when I found out a few years ago that Kasai was the stepmother of Maya Rudolph from “Saturday Night Live”. Yup, I have to say that Kasai’s cover of “I Thought It Was You” is the better version.